Applied Epidemiology, health planning and evaluation, geographic information systems, health impact assessment, measuring health inequalities, urban health. 2005 NASA GRANT:“Integration of NASA Earth Science Data into Pan American Health Organization (PAHO) Health Analysis and Information Decision Support”. 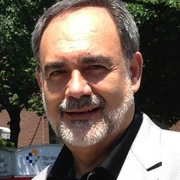 PI: Carlos Castillo-Salgado, Pan American Health Organization. The Applied Sciences Program NASA Science Mission Directorate. Public Health. 2003. PAHO Special Award. 2002 Best/Outstanding Unit/Team Award. In recognition of the leadership in the use of innovative and creative approaches in the field of public health analysis. Pan American Health Organization/World Health Organization Washington, DC. 2002 US-Mexico Border Health Hero. Recognition for the leadership role in public health at the service of the communities in the Mexico-US border. US-Mexico Border Health Association and Field Office. PAHO/WHO Centennial Award. El Paso, Texas. OTHLI Award Medal from the Government of Mexico and the Program for the Mexican Communities Abroad, 1999. The President of Mexico gives this award to distinguished Mexican Nationals living abroad for their exceptional contribution to the development of the Mexican Community. PAHO/WHO SPECIAL RECOGNITION OF TECHNICAL PROGRAMS, 1993. Communicable Diseases Program, HPT. In recognition of the excellence of the professional work of its Staff in 1992. Washington, D.C.
National Dissertation Grant Award in Health Services Research, 1986. National Center for Health Services Research and Health Care Technology Assessment. Department of Health and Human Services. Rockville, Maryland. Castillo-Salgado, C et al. Chapter V. Right to Health and the Millennium Development Goals. Millennium Development Goals. Economic Commission for Latin America and the Caribbean-ECLAC. New York. 2006. Castillo-Salgado, C. Guest Editor. Special Issue on Measuring Health Inequalities. Pan American Journal of Public Health. Vol. 12, No.6. December, 2002. Castillo-Salgado, C, Loyola, E., Vidaurre, M. et al (2000- 2003). Geographic Information Systems in Health, Basic Concepts. Pan American Health Organization, Washington, DC. Versions in Spanish (2003), Portuguese (2002), and English (2000).